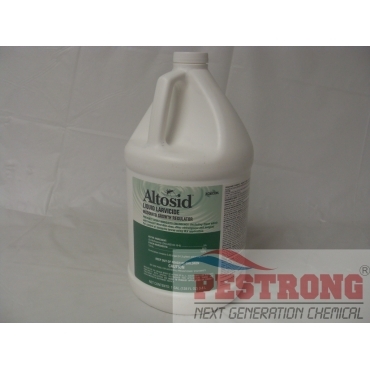 Where to Buy Altosid Liquid Larvicide, Altosid SR - 5 Liquid Larvicide - Gallon - $334.95 for Sale with Fast Free Shipping! Altosid SR - 5 Liquid Larvicide - Gallon is a trusted insect growth regulatory (IGR) product that prevents mosquito larvae from developing into breeding, biting adults. By buying this product & leave product review you can collect normally 33 reward points as a voucher of $3.30(1%). Azoxy 2SC Select Heritage Fungicide - Pt -.. It is now registered for ground and aerial ULV applications to terrestrial sites. Its microencapsulated formulation provides for longer residual control, easy mixing with only mild agitation, significantly reduced treatment costs, and no concern for unwanted coating to internal spray equipment or treated surfaces. Altosid Liquid Larvicide provides effective larval control of disease-carrying mosquitoes, including Aedes aegypti and Aedes albopictus without disrupting non-target organisms. The cimex dust is very effective. I use it on the mattress and box spring. Left it on both items. For a week. No more bedbugs.